Honda's all-new 2017 Ridgeline drives like an SUV, has cushy creature comforts and technology of an SUV, yet it has a truck bed and can still carry payload and tow. The Ridgeline may not be ideal for people seeking a traditional truck, but as a practical compromise between truck and SUV, the Ridgeline may push all the right buttons. Honda’s ridgeline remodel takes it over the top! I drove a Ford f-150 for 20 years before switching to my Honda ridgeline. I like the better gas mileage and sporty feel of the ridgeline. I preferred the roominess of the f-150 but get along fine in the ridgeline. I have chronic pain so comfort was a big factor in my choice of a vehicle to replace the f-150. I have had several Honda's in the past and they have all been good cars. Great reliability, quality, economy, resale value and styling. My ridgeline is no exception. 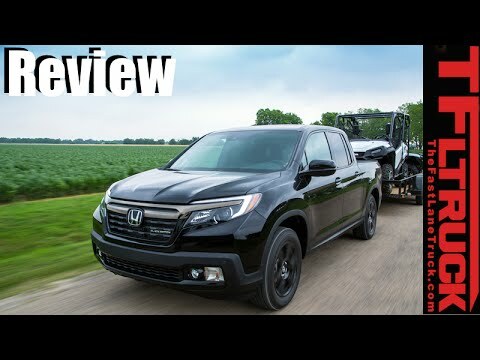 I didn't care for the sloping truck bed the ridgeline’s of earlier model years had so I was glad that Honda did a redesign with the 2017 model year. I cannot considered the Toyota Tacoma seriously but the driver’s seat was not very comfortable. I am happy with my Honda ridgeline choice and expect to drive it 20 years before I will need to trade it in for a new vehicle. Easy to get into - love the comfort. I love my 2017 ridgeline. I have always wanted a truck and never had one. As an older person - my concern was the ability to get into/climb into a truck. It is easy to get into, very comfortable. I love the backup feature. I love the many controls on the steering wheel where I can check my oil levels and tire pressures at the push of a button. It is a smooth riding vehicle. My last vehicle was a Honda CR-V which I spent very little money on for repairs. I am looking for the same benefit in my truck. A comfortable and non conventional pick up truck. I had this car since 2016 and I haven't any issues with this vehicle at all. Its performance is amazing and so is its reliability. I drove it in snow without any issues. The seats are comfortable and they have seat warmers which makes driving in the winter so much more comfortable. It had the backup camera but it does not have the navigation compass, which is one feature I was sad not to have.